As moderator of the panel, we followed-up with Jon to capture his take-aways from the conversation. 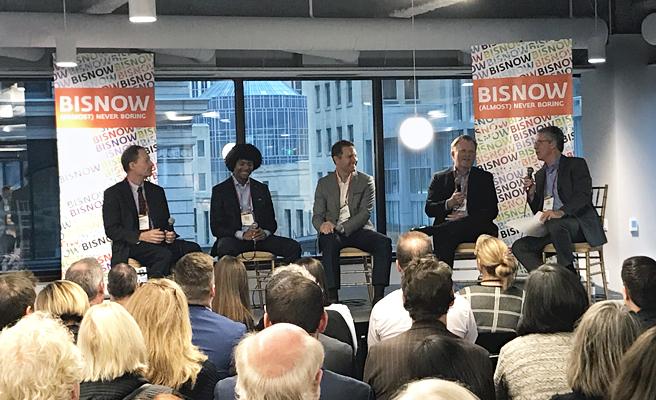 Q: Jon, you represent one of the major companies involved in the Midwest healthcare market so as moderator, did anything during the panel discussion surprise you? Any “aha” moment? Jon: The panel was intentionally diverse to present multiple points-of-view. I think it was fascinating to hear how each of us are focused on helping healthcare providers advance the quality of care for communities. Developers, brokers, designers, and health care providers, all collaborating in new ways to advance the greater good. It’s more of a true team effort than ever before and the result are projects that are truly game changers. 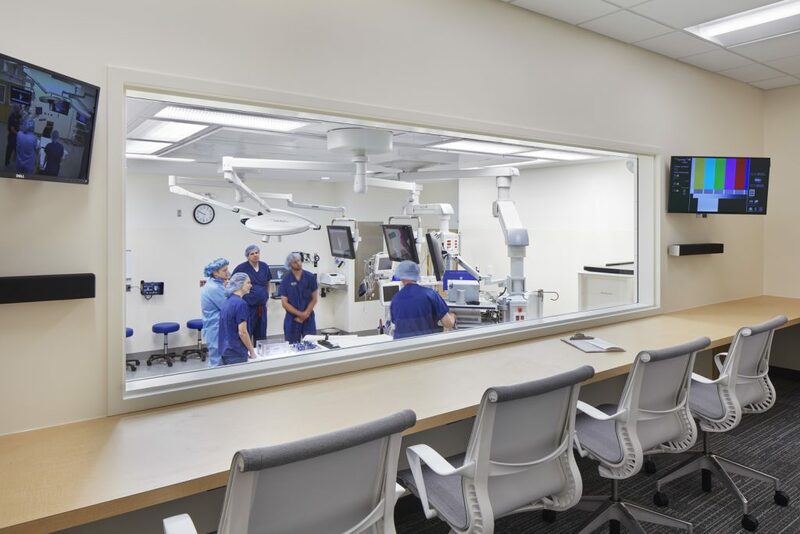 Q: Speaking of game changing projects, the conversation centered on two major initiatives, both of which involve RSP: Rochester’s Destination Medical Center and TRIA Woodbury, a new orthopedic center now open at CityPlace in Woodbury. The panel spoke of this work as transformative. Can you elaborate? Jon: This work is transformative in that it’s about more than just a clinic or a building. It’s about creating destinations that build community. 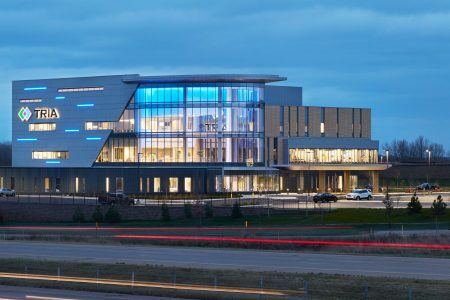 In Rochester, Destination Medical Center is about reimagining downtown, connecting the Mayo Clinic in a transparent and authentic way to the residents, researchers, doctors, staff, patients and visitors. Bringing the entire community together to help promote healing, innovation, and more. 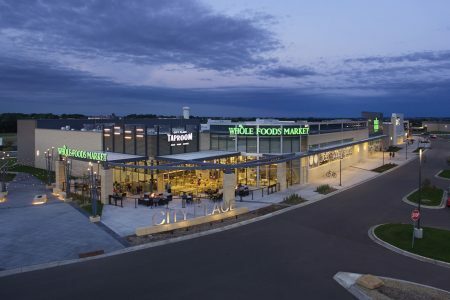 TRIA Woodbury is also about transparency and connections. The clinic’s location within a major retail/entertainment development is as unique as it’s exterior design which has become a landmark for the city. Both efforts are really about extending healthcare into the community, about getting away from healthcare as an island. 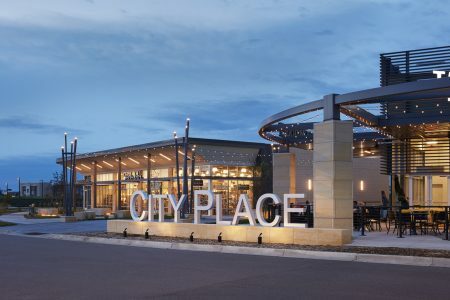 TRIA Woodbury is also about transparency and connections at a destination, located in CityPlace Development. Q: So the innovation happening in healthcare is its expansion and connection to the greater community? This increased transparency versus healthcare behind the curtain so to speak? Jon: Exactly. Healthcare used to be more focused on the science and the science was behind-the-scenes. It was more segmented and specialized. Now, it is still highly specialized, but the entire healthcare industry is more open, collaborative, and expansive. A great example is our work with Destination Medical Center. 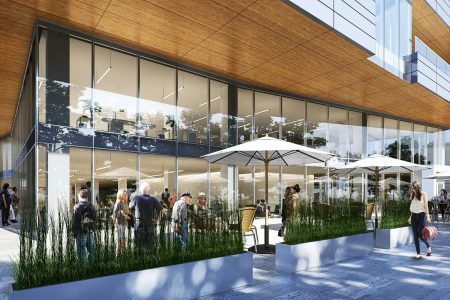 Both projects, Heart of the City and Discovery Square, are about transparency and connection to community. 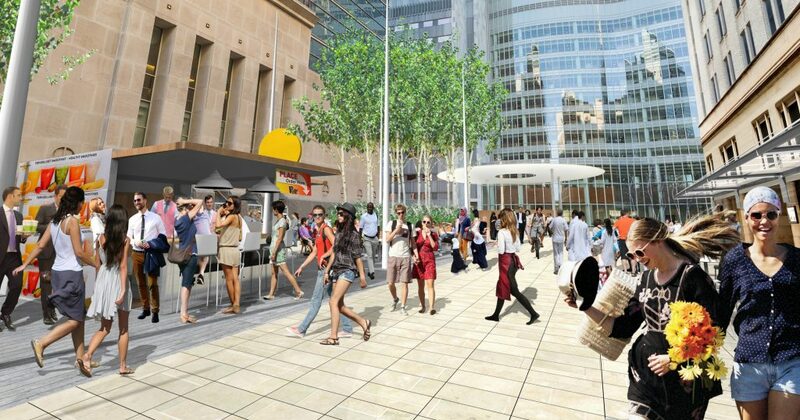 Heart of the City will activate a public space within the center of downtown, inviting the public and visitors to interact and celebrate the medical miracles taking place daily. Discovery Square is an effort that builds community within the building itself. 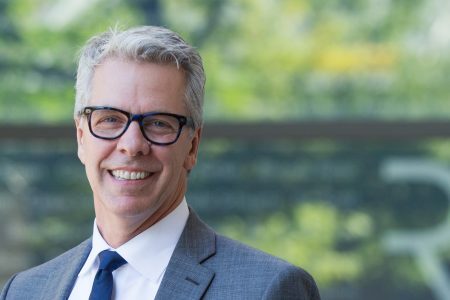 It’s intentionally designed to put science on display, to connect the people who are creating new therapeutics and technologies with patients faster. 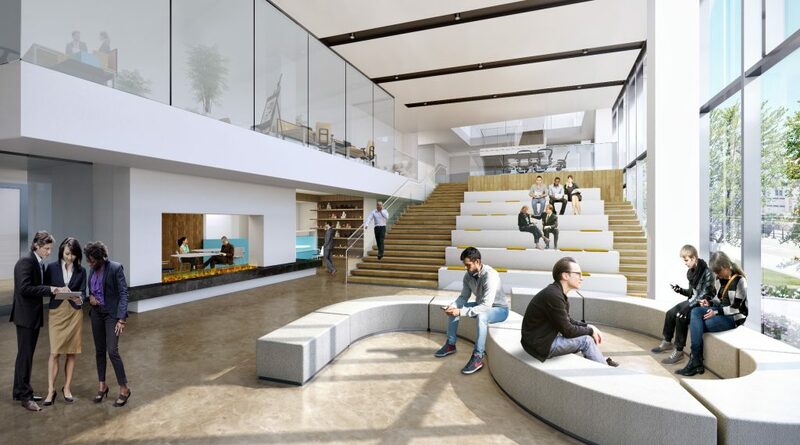 There will be an eco-system of tenants within the building that is encouraged to co-create at another level and the entire building is designed to highlight this work. It’s transparent and open to the public. Discovery Square is designed to put science on display and to connect people. The second Destination Medical Center project, Heart of the City, is groundbreaking as well. It’s about activating the public realm and becoming a place for the residents of Rochester to cherish. A place to connect residents with patients and visitors and medical staff. To take pride in the accomplishments happening there, the medical miracles that happen daily within Mayo. And encouraging people to interact with it all, to share it with their own communities. Heart of the City is a place to connect residents with patients and visitors and medical staff. Q: So what is driving this change. Are patients demanding this new approach? Or is healthcare driving it? Jon: It’s a market and system that’s continually evolving. Always has been. Consider the fact that healthcare is not episodic for most of us anymore. It’s ongoing care. Our collective consciousness is more aware of wellness and well-being. It’s a switch from thinking that healthcare is where I go when I need something done or something is wrong to thinking that healthcare is a coach or partner in helping me lead my best life. As architects, we’ve witnessed this evolution in design. Clients used to focus on patient care. It used to be all about the patient. Then we moved to a more holistic approach, designing for the patient and the entire care team. We started honoring the experience of the care team as much as the patient. Now we are pushing the envelope further by connecting to community. Q: What about patient choice? The consumerism of healthcare? Isn’t that a driving factor in all this too? Jon: Absolutely. Healthcare providers are more aware of their brand than ever before. And taking their brand seriously. TRIA is a great example. They get it. Their brand starts with how they deliver care. It centers on the word “team.” So every design decision with TRIA Woodbury was about enhancing teamwork. How does this allow us to be a better team. This approach really allowed the architecture to serve as storyteller. The architecture not only supports but activates the team. We think this approach will result in a healthier place for everyone. The care providers as well as the patients. It creates a better work environment, a true connected, collaborative system. The architecture not only supports but activates the team, creating a better work environment, and collaborative system. Q. Speaking of team, teamwork between architect, developer, contractor and client certainly came through during the discussion. Jon: It did because teamwork on our side of the project is just as important as it is once the project is completed. It all goes back to everyone coming together to work for the greater good. It’s why I am so passionate about the healthcare market. Our teams are working together in new ways to create places, communities, destinations that will truly change lives.